If you follow me on my social media platforms then you might remember my post on twitter and instagram about these stunning fake lashes from D'Eyeko. You can see the snippet photos of these lashes on my social media posts, and now it's time to uncover them. 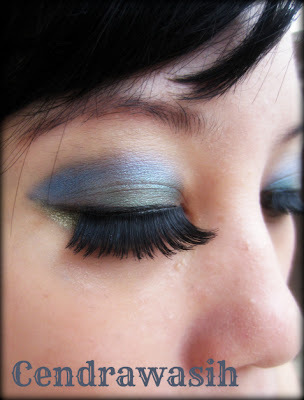 If you love wearing fake lashes then D'Eyeko is probably not a foreign name to you. It is one of the most popular and sought-after brand for fake eyelashes, especially here in Indonesia. You can easily find them in most cosmetics / department stores. D'EYEKO is a popular brand of false eyelashes that have been exporting their products to many countries with major markets in the U.S. and Europe. After their success in overseas markets D'Eyeko is now strengthening it's core in Indonesia by presenting a wide selection of fake eyelashes types and models that have been adapted to the eye-shape and personality of Indonesian women. 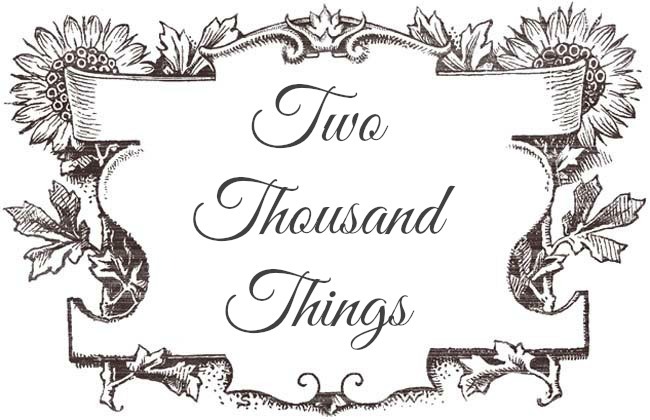 They offer a couple of eyelashes variants on their Basic collection, from natural-looking ones that are perfect for daily wear, to a more extravagant ones perfect for parties. Aside from their basic collection D'Eyeko has also been collaborating with celebrities to release some new variants. Olga Lydia, Cherrybelle, and now Syahrini are among the local celebrities who collaborated with D'Eyeko in releasing their premium eyelashes to the market. There are five models on the Princess Syahrini collection: Surya Kencana, Cendrawasih, Cakrawala, Katulistiwa, and Merak. 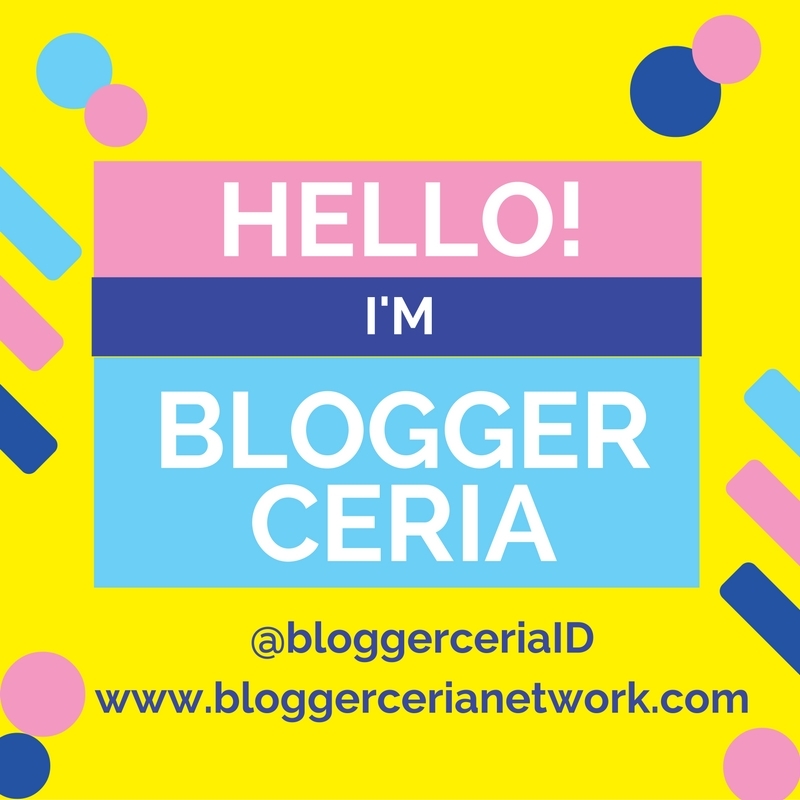 I received two of them which are the Cakrawala and Cendrawasih. Both Cakrawala and Cendrawasih have different styles and features. Cakrawala has thinner long lashes that's perfect for a natural / everyday look, while Cendrawasih has a more bold look to it with a thicker and longer lashes. Both of these lashes have great quality, the individual lashes are moderately thin, and the color is also very black, just like natural lashes. Every set of lashes comes complete with an eyelash glue so you don't have to buy a separate glue for the lashes. The glue itself is unique because it looks purple-ish when used (which is cool! ;p) so no more white residue on top of your eyelashes once worn. The power of the glue is medium strong. I wore these eyelashes for a half day and they are still in tact without any signs of fall-off. Each pair of D'Eyeko eyelashes is a work of art in itself. They are 100% handmade, and it took more than 10 stages of production that requires skill and precision to produce. That explain how good the quality is. 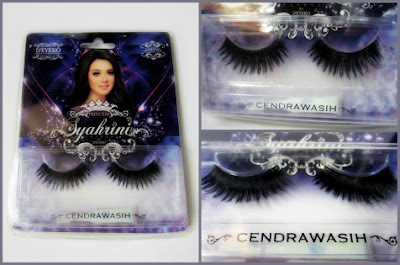 This Princess Syahrini false eyelashes were designed by Syahrini herself. She also introduces a doubles-lashes single band style (Katulistiwa) which is the most unique style on this collection. After trying out these lashes I can say that I am satisfied with them. The quality of the lashes and glue are great, the lashes looks natural when worn especially the Cakrawala ones. They look great on photos as well, especially the Cendrawasih ones because it has dramatic length and thickness so they look great on camera. These eyelashes can also be reused for a couple of times, I've been wearing the Cakrawala twice now and it still delivers. I just clean the glue and put them back on their tray. 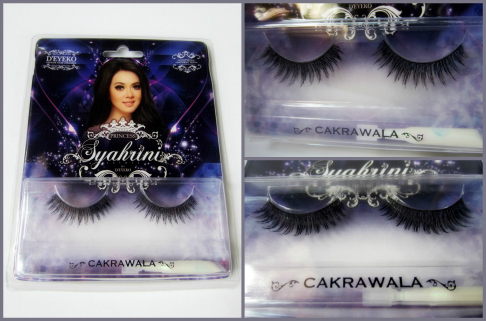 Among the five selections of Princess Syahrini False Lashes, Cakrawala is the most natural looking one. 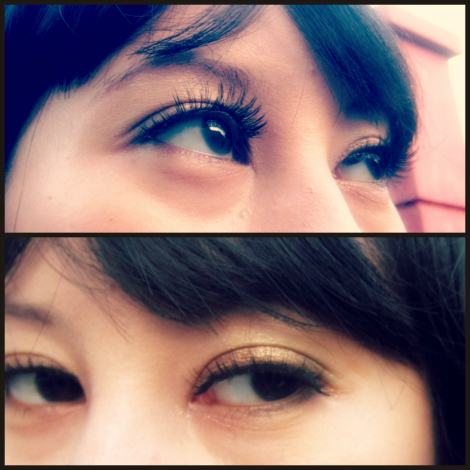 It has natural length, thickness, and flexibility, making it looks like part of your real lashes when worn. Once you put this on it will look like part of your lashes, especially in photos. 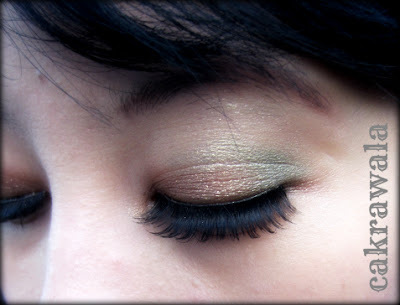 If you're looking for a more prominent look on your eyes without all the drama then this is your best bet from the D'Eyeko Princess Syahrini range. It looks pretty natural and not bold at all, right? I would wear this lashes to a formal events or to a day/afternoon party. Or maybe if I have something special to attend to. You can also wear this to weddings, birthday parties or for a casual fun photoshoots with friends. A very adorable pair, Cendrawasih has a dramatic length and medium thick lashes, as well as a firm visible structure. It is pretty bold when worn but would still look natural enough with a flexible curls at the end. According to D'Eyeko, this one is perfect for photos because you will get a bold distinctive lashes that will accentuate your eyes. This would also looks gorgeous with a Kebaya. I love that it has a flirty look to it. This Cendrawasih one certainly brings out a romantic look to your face. I can see myself wearing these to the big events such as gala or an exclusive wedding party in a super posh location. You can also wear this to your prom or any special events. As I said above, this one gives romantic feel to the whole look so pairing it with a kebaya would be super adorable. I would also recommend this one if you have big photoshoot such as family studio-photoshoot or pre-wedding photos. 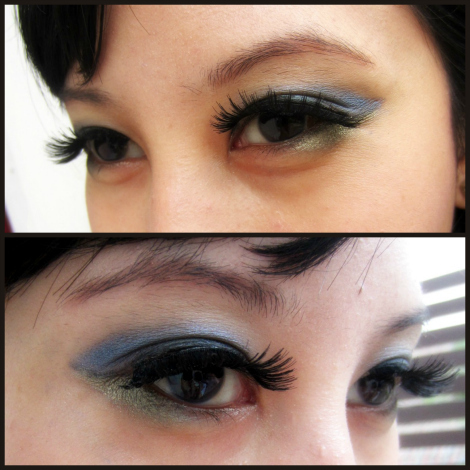 Overall, I love these D'Eyeko Princess Syahrini fake lashes and am considering of getting the other styles such as the doll-like Surya Kencana and the unique Merak one. 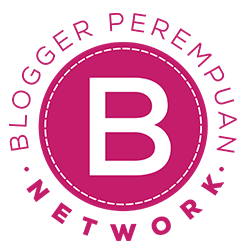 I think their quality is great, and they also delivers great look. I recommend these eyelashes for those of you who likes to wear fake lashes and/or love to try and experience different styles and shapes of eyelashes. You can check their website HERE or follow their twitter HERE for more information. D'Eyeko ini mudah sekali diaplikasikan. Terima kasih Yuri untuk reviewnya.